I converted this radio shack enforcer to a hobby truck and it has to be the most difficult conversion ive ever done. But it was done right and functions amazing. It is ready to hit the mud, rain, snow, sand and rocks with front/rear lockers, full water proof electronics and all the bottom end torque it will ever need. 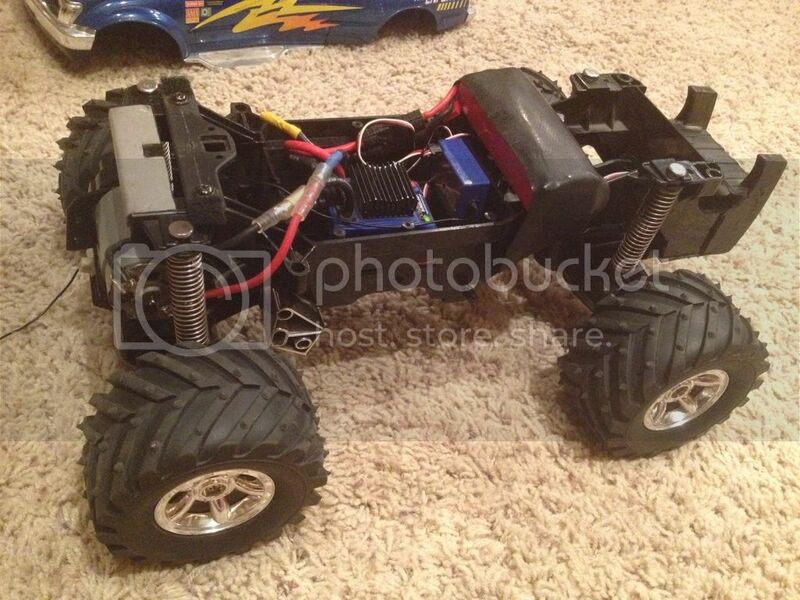 Top speed is around 20mph in hi gear using an 11.1v lipo. This is absolutely night and day a huge improvement in every aspect. It has approximately 10x the stock power. Now 30mph+++ using the stock gearing instead of the intruder gearing. 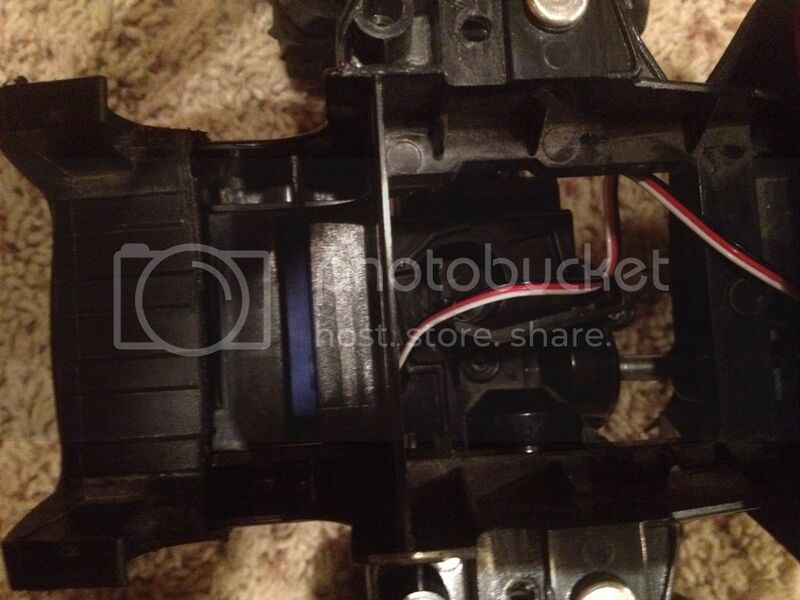 Motor: 550 Titan motor custom fit onto the factory motor mount and running a 19t pinion instead of the stock 8t. Took hours to align and fit correct so that the pinion meshes perfect with the first gear. Rear axle: I used an axle from an intruder which has half the ratio and helps a bunch for crawling and I have locked the rear differential. Ive already stripped 2 drive gears out but found a wider replacement for the weakest link. I will find or make metal gears if I have to. Front axle: Since it runs off the ratio of the rear there is no need to re-gear and the differential is also locked. 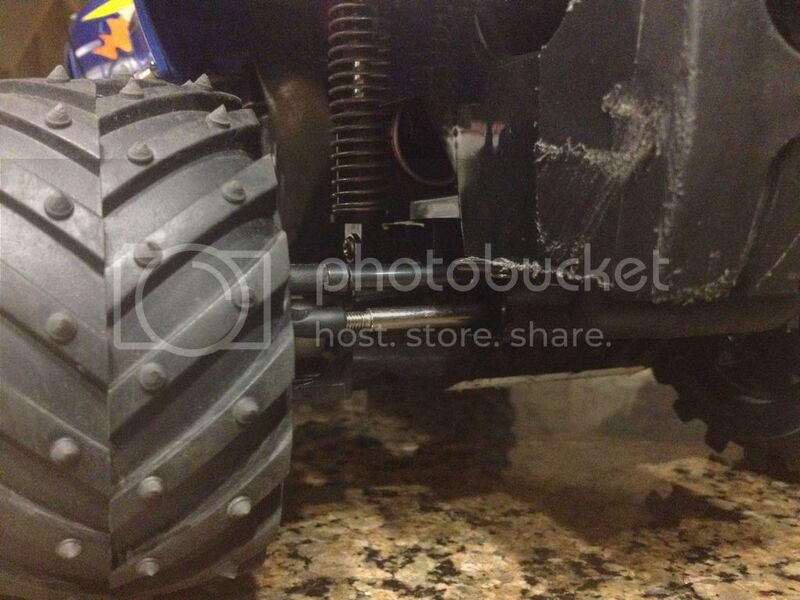 Steering: waterproof traxxas 2056 servo mounted on the front axle using axial steering links. It steers sharp, precise, has no slop and will fully turn the tires easily even on carpet. 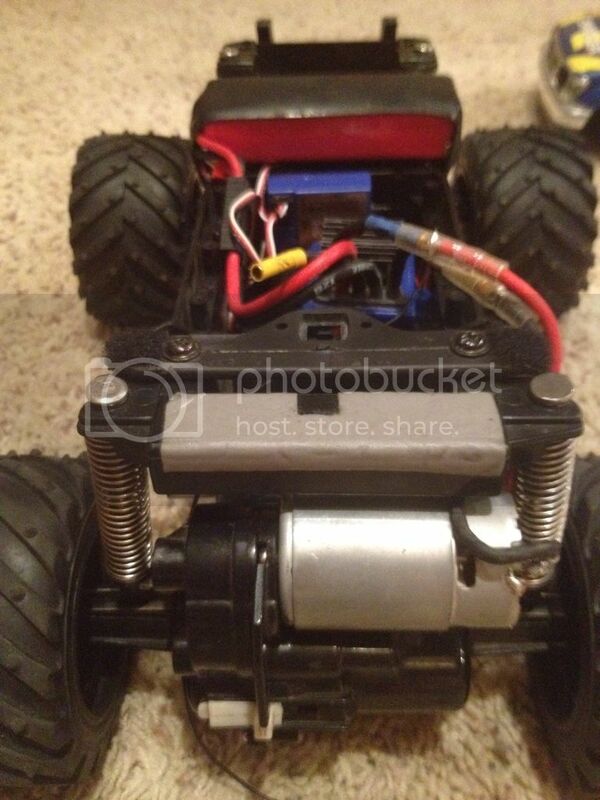 Battery: 11.1v 2100mah lipo for 10mph in low and 20mph in high. 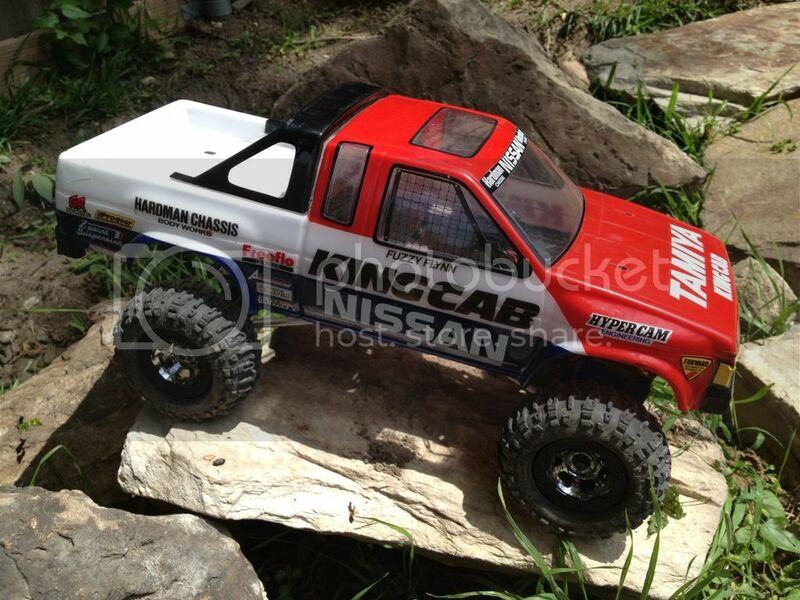 Will crawler over anything with the lightest amount of throttle in low gear and still crawl in high gear. It is the perfect power setting running the speed control at 50% power to keep from stripping the gears. 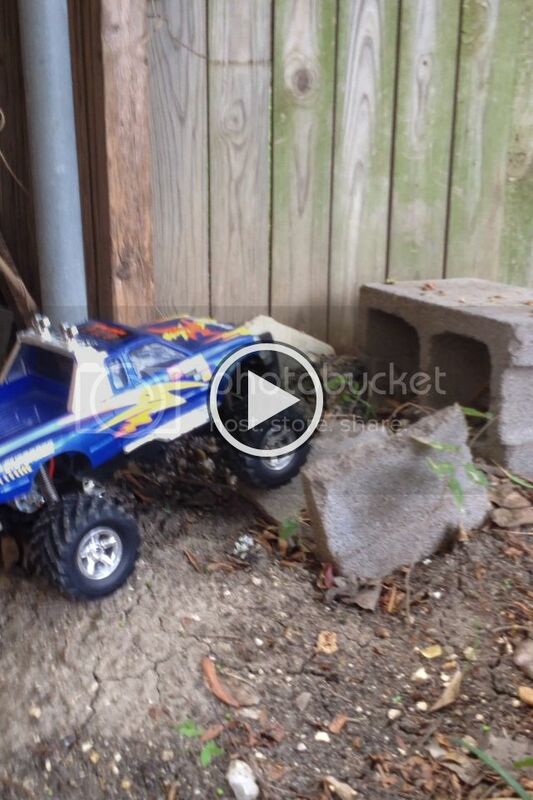 7.4v 8000mah lipo works great at full or half power for crawling. can run for about 5 hours minimum lol. 4 light led bar up top. I will be mounting a 2 light led bar on the front bumper where the fake lights once were. Thats awesome you got a 550 motor to work! 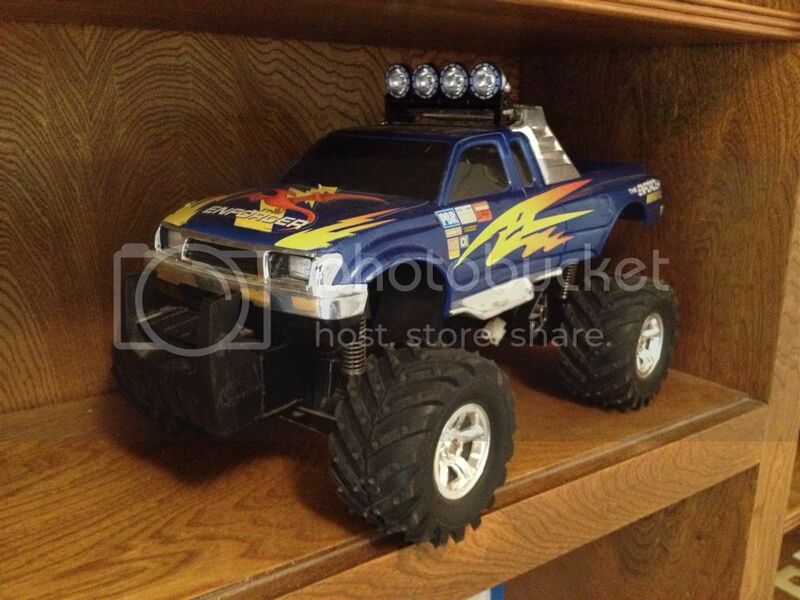 I have a similar truck, but with the shift-able gear box on the transmitter and chevy body. Just went out and ran the enforcer using its stock gears and holy hell was it faster! It's just 2 gears that quickly swap out and now it runs 30mph+ very easily. It seems faster in low gear than it used to be in high. I found an Enforcer NIB on craigslist local to me. The guy wants $50, but if he will take less I might pick it up. I really only want to go ~$30ish.